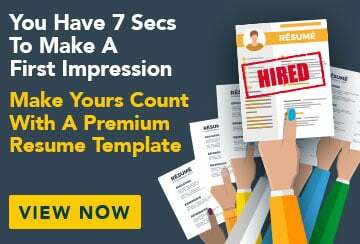 This free sample cover letter for an audit manager has an accompanying audit manager sample resume to help you put together a winning job application. I wish to apply for the position of audit manager at Axel’s Auditing as advertised in Parketta Times on July 20. Having achieved many goals in my accounting and auditing services career, I am interested in expanding my professional horizons at Axel’s Accounting and I believe I have the skills and experience to be a valuable asset to your company. As you can see, I have had a long and successful career in accounting and more specifically in the area of auditing. In my role as auditing manager at Parketta Accounting Professionals over the last nine years, I have demonstrated a hands-on management style in the development and implementation of strategic plans to ensure company growth. Heading up a team of six accounts, we worked on projects with SMEs as well as large international companies, achieving exceptional results. After completing my Commerce Degree at the University of Parketta, I spent three years honing my skills at Accounting Plus. In this role, I rotated through various specialist accounting roles and discovered my passion for auditing. I have also completed my CPA studies, and a Diploma of Accounting. I have outstanding written and verbal communication skills, efficiency, maturity and honesty. I am highly proactive and results driven, while also enjoying being part of an energetic and dynamic team. I enjoy a reputation as a strong and committed leader, with a knack for establishing rapport with clients and building solid professional relationships. I look forward to meeting with you to discuss the position further. Please don’t hesitate to contact me if you have any further queries.